As I’m sure you have worked out, Higgledy Garden like a few quirky flowers in the cutting garden. Sylvestris is certainly one. 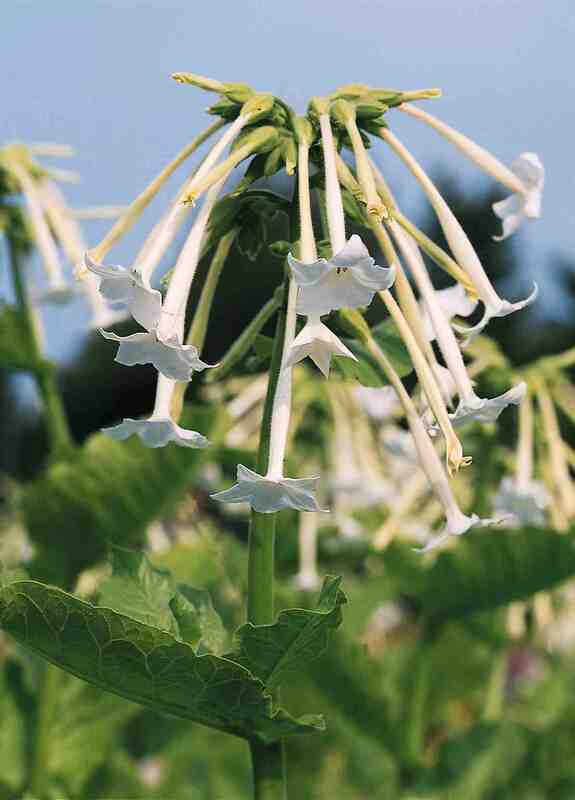 Statuesque with long white trumpet like flowers and a delightful scent… strongest at night. Keep one in a pot on your patio and impress the Joneses’ when they pop round for Tequila Slammer and a rubber of bridge. When I say stately… I mean it can grow to a whopping 150 cms… tobaccotastic!